I am a long time resident of Tuscaloosa County and received my B.A. in Anthropology from the University of Alabama in 2012. During my undergraduate years, I quickly became interested in archaeology and spent a lot of time volunteering or working in the Gulf Coast Survey Lab and the Archaeology lab in ten Hoor. In 2010 I attended the University’s field school that was held at Asphalt Plant Mound located one mile north of Moundville. 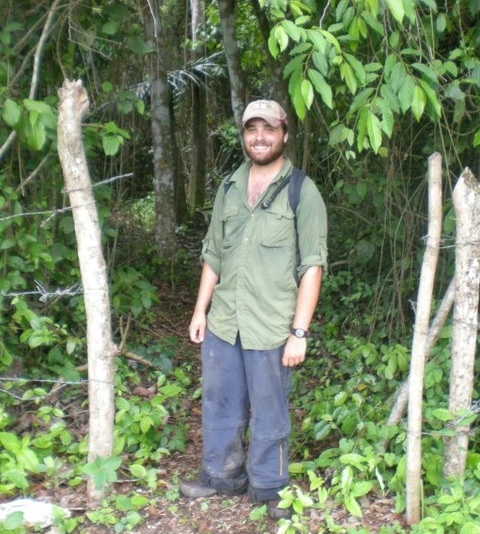 During the summer of 2011 I was fortunate enough to spend a month in Belize at the Ancient Mayan site of Actuncan. There I assisted Chet Walker of Archgeophysical Survey, LLC. in a magnetometer survey covering a large portion of the site. While I did not develop a great interest in Mayan archaeology, I did find an interest in magnetometry, other remote sensing, and its application to archaeology. Besides remote sensing I am also interested in Southeastern U.S. Archaeology, Mississippian societies, and the European contact period.